Now that summer has ended and school has begun once again, one of my favorite aspects of summer has come to an end as well— summer movies. Summer movies are unique to movies released at any other time, as they are usually some of the biggest budget movies released in the entire year. For the summer of 2015, huge releases like “Jurassic World,” and “Avengers: Age of Ultron” were some of the highest grossing movies in history, but were they able to impress a seventeen year old girl named Gigi Teverbaugh? Read on to see if any of your favorite summer movies made it on to my list! I may be alone on this one, but I found this reboot of the class sixties television series to be an enjoyable summer romp filled with a fun mix of action, romance, and comedy. 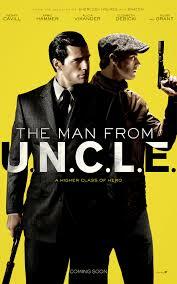 The movie takes place in the middle of the Cold War; Napoleon Solo (Henry Cavill) and Ilya Kuryaki (Armie Hammer) are forced to join together to help stop a mysterious group of criminals determined to throw off the balance of power by producing nuclear weapons. One of my favorite parts of this movie was the effort made by the director, Guy Ritchie, to make it look and feel like it came straight out of the sixties, while also incorporating a modern twist to it. Although it began slowly and took a little too long to get to the meat of the story, the movie still did a wonderful job of incorporating light comedy into its intense storyline, included exciting car chases and break-ins, and even added a bit of a “will they, won’t they” love story between Alicia Vikander and Armie Hammer. Overall, I’d give the movie a 5.5/10 for it’s fun and adventurous tone…and also for Armie Hammer’s weirdly adorable Russian accent. Before seeing the latest installment of the “Mission Impossible” series, I did not consider myself a huge fan of the franchise. 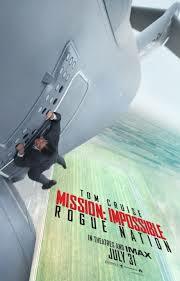 To my surprise, “Rogue Nation” tipped me into fan territory, leaving me eager to watch the four previous movies and also slightly obsessed with Simon Pegg, who plays Benji, the goofy and quick-witted sidekick of Tom Cruise’s character, Ethan Hunt. “Rogue Nation” was a thrill to watch because of its insane stunts (Tom Cruise does most of his own!) and gripping, action-packed story. This movie epitomizes the classic summer blockbuster. Nice work, Cruise. Easily the most adorable movie I saw this summer, “Inside Out” was one of the few movies that made me laugh, cry, and have an existential crisis all in one sitting. 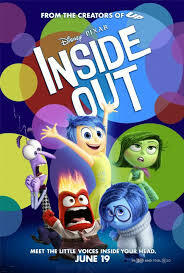 With its incredible cast of funny people including Amy Poehler, Bill Hader, and Mindy Kaling, Pixar’s latest release provided a touching and comedic insight into the mind of an eleven-year-old girl struggling with the process of moving to a new city and learning to make new friends. Discovering all the different aspects of Riley Anderson’s mind—her abandoned imaginary friend, Bing Bong (my favorite character, obviously) and the various islands that make up her personality—was thoroughly enjoyable and sweet. Not sure if “Inside Out” can compete with Pixar’s beloved “Toy Story,” but it definitely has become one of my new favorite animated movies. Amy Schumer’s heartwarming and hilarious rom/com was exactly what I hoped for when I first found out about it. 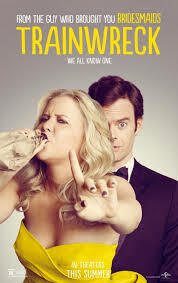 The film follows a magazine writer named Amy who learns how to be in a committed adult relationship for the first time after she becomes involved with a sports doctor named Aaron (Bill Hader). “Trainwreck” was filled with ridiculous celebrity cameos including John Cena and LeBron James that made it so incredibly fun to watch. It definitely delved into cheeseball territory, but I loved it nevertheless. I found myself rooting for Amy Schumer throughout the entirety of the movie, which is awesome especially because this was a female-driven comedy. Overall, I’d say “Trainwreck” is definitely a fun movie to watch with your gal pals. We have finally made it to my favorite movie of the summer! Huzzah! Not what you were expecting, ay? Trust me, I did not expect to love this movie as much as I did either! 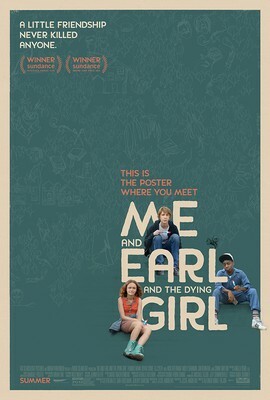 Contrary to my presumptions about this movie, “Me And Earl And the Dying Girl” was not a typical teen romance movie. I was expecting a “Fault In Our Stars” copycat, but what I got was so much better. This poignant and quirky story chronicling the senior year of an awkward teenager who befriends a girl dying of leukemia was truly heartbreaking yet uplifting. It was incredibly honest, making it so much easier to have your heart torn to shreds by the characters that you had grown to care so much about. Additionally, the direction of this film was reminiscent to that of Wes Anderson, whom I love, making it all the more visually appealing to me.